We strive to get great reviews from you and your guests. Our goal is to ensure that every detail of your wedding is just the way you want it to be. 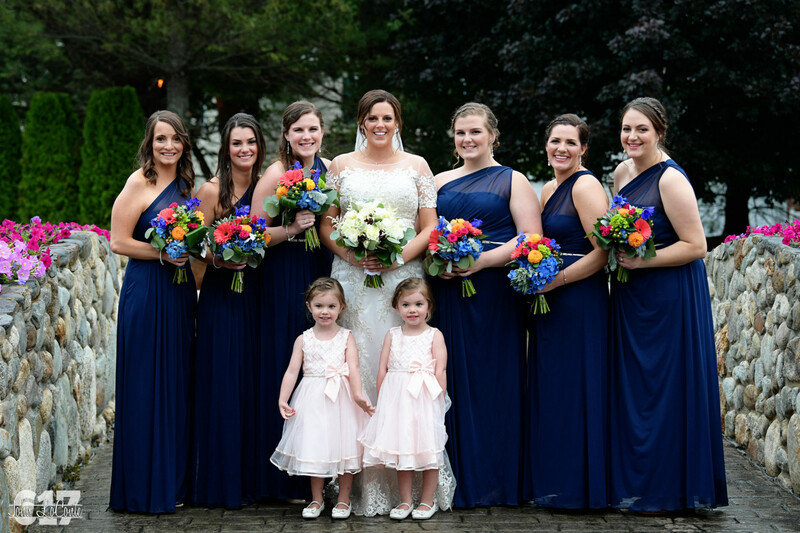 The team at the Tewksbury Country Club made our wedding go perfectly. There are no words to express the level of gratitude. For any future events we have TCC will be the number one choice! We cannot express how thrilled we were with the Tewksbury Country Club. From the moment we reached out to you until the end of the wedding day everything and everyone was just amazing. You worked with us to create an unforgettable day. When I walked in and saw the room setup for our wedding I was taken back at how beautiful it looked. Every fine detail was taken care of – the candy table, the center pieces, the flowers on the mantel. The staff was so attentive, professional and caring. When our DJ wasn’t there, you jumped right into action, offering to do what ever you could to help with the situation, and finding DJ Chuck. He was there in what seemed like a matter of minutes. He was amazing and turned an unfortunate situation around and saved the rest of the day. Our guests could not say enough about TCC and DJ Chuck. I did have the perfect wedding day!!! Words cannot express how thankful we are for everything! You are truly amazing at what you do. 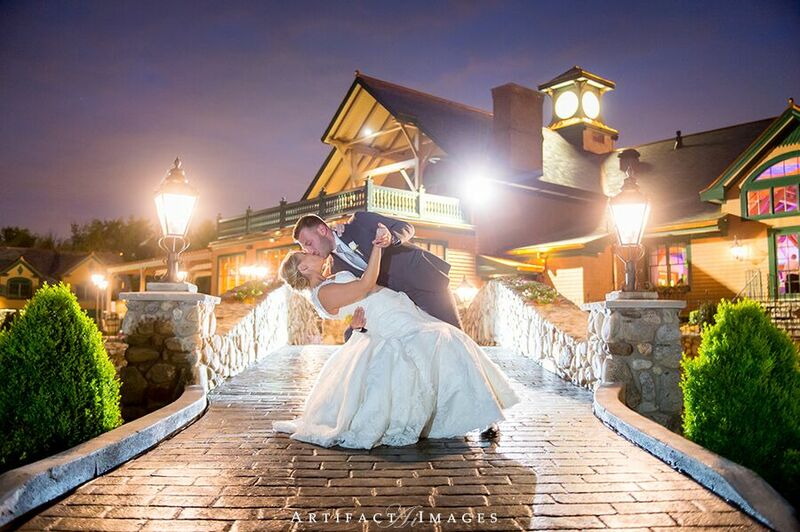 Tewksbury Country Club was an AMAZING venue for our holiday wedding! The entire staff (special praise for Brian, Melissa & Heidi) made my fiancé and I feel welcome, always graciously accommodated our needs and answered all of our questions quickly. The rooms at TCC are gorgeous and the food was delicious! 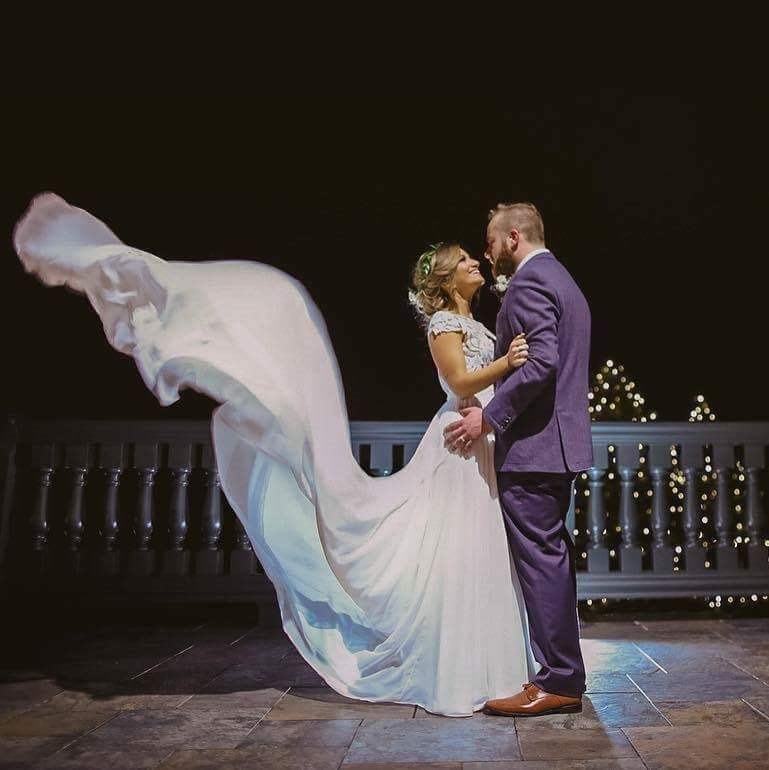 From our ceremony in front of the stone fireplace to the last minute of our reception, the staff went above and beyond to make the evening a wonderful and memorable event for us and our guests. Brian was our “day of” coordinator and we never had to think about anything other than enjoying our perfect day! He was extremely attentive to set up details of our room, communicated and coordinated with all of our vendors, presided over the evening schedule so that we had a good flow and plenty of time to dance & party. We frequently have dinner at the Tavern by their golf course and I can honestly say that TCC is a beautiful setting no matter what time of year it is! I would give them more than 5 stars if it was possible. The staff at TCC were amazing. everyone fielded all my questions in a timely manner. The venue is beautiful. All our guests had an amazing time. Food is incredible. The day ran smoothly and on time. We had so many compliments on the food and overall venue. The vendors that TCC works with are outstanding. We also had our rehearsal dinner there which was over the top. Simple perfect. Perfect every thing was perfect! I had the most beautiful wedding ever! I could not have done it with out Tewksbury Country club! We just wanted to thank you all again. Our wedding was amazing. We’ve gotten so many compliments about how attentive you and the staff were to our guests. Our parents were so impressed with how on top of everything you all were. We seriously can’t thank you enough for all you’ve done for us! We look forward to any future events with you! Our wedding took place during the day of Hurricane Matthew this past October, but we had such a beautiful venue it hardly mattered. Excellent staff that know exactly what they’re doing plus a gorgeous, warm venue. The food was AMAZING. We got so many compliments on everything the venue had to offer and I would 100% recommend TCC to anyone for any event. I can not say enough wonderful things about the Tewksbury Country Club!!! They went above and beyond to make our wedding perfect. They even reminded me of things I did not even think of. The wedding reception went seamlessly and allowed me to just enjoy the night.The site itself is gorgeous, the food was fantastic, the bar staff was outstanding!! All of our guests had a great time and raved about the venue. You will not be disappointed having your wedding here. and they will do everything to make your wedding perfect. Thank you Tewksbury for a perfect day! This venue gave me the wedding of my dreams! I have been waiting since my wedding this past June to write this review trying to come up with words even close enough to describe my experience with TCC. Everything about this place is perfect. The ballroom and grounds were incredible and I have not stopped receiving compliments. Did I mention the food!??? It was incredible!! My husband & I had our reception here last weekend and our ceremony in a church the town over. Melissa, Heidi & Brittany were unbelievable with the attentiveness and patience they had through the whole planning and the night of the wedding. Adding 2 vendor meals the day of the wedding they were able to accommodate no problem and working with us for our entrances made things very easy. The TCC is a beautiful place on its own, but the people who worked with us to make it all happen I can’t say enough good things about them. It really was a great night, and every one keeps talking about the mashed potatoes!! The Tewksbury Country Club was absolutely amazing to work with planning a wedding. Responses to emails and general questions were always quick. The food was amazing and on the day Bryan did everything to make the day as perfect as it was! Nothing but rave reviews. My husband and I want to send a big thank you to TCC and their entire staff, and in particular our wedding coordinator Brian. He was fantastic to work with and our day would have not been the success it was without him. Brian thoroughly walked us through every detail to alleviate what little concerns we had up front. He was responsive, easy to reach, and very organized. The day of he was right by our side for whatever we needed, and was a true pleasure to work with. The food, service, and overall experience was excellent and we would highly recommend this venue and staff to anyone getting married or hosting an event. Thank you again for everything! I know that we thanked you last night but I wanted to write to you to thank you again. We could not have been happier with K and N’s wedding day. Everything was perfect. All of you at Tewksbury Country Club made it so easy! You didn’t miss a thing! We were impressed with you from our very first meeting and you did not disappoint! Thank you, thank you, thank you! You made this very special and important day absolutely awesome! All of our guests had a blast and raved about the venue, the food, the staff and the experience! A million times thank you! Just wanted you to know how pleased I was with everything. The room looked beautiful and I was happy with the set up. The staff was very helpful and accommodating, the food was great and I got many compliments on how good it was. Please know that I will highly recommend Tewksbury Country Club to anyone looking for a facility to have a celebration. This past January I had my wedding reception at the Tewksbury Country Club. The day was perfect. The staff and event mangers was amazing to work with. They made every part of the day perfect for myself and my guests. AMAZING!! I don’t even know where to begin!!! The staff at TCC is WONDERFUL! From every planning detail to the night of the wedding they were extremely helpful and great to work with! It is an absolutely beautiful venue with amazing food, staff, and service! We were SO happy with how perfect everything was on our wedding day! I cannot even begin to say enough good things about the Tewksbury Country Club. Our wedding coordinators, Melissa and Heidi, were absolutely wonderful to work with. Our wedding was perfect and we owe so much of that to them and the amazing staff at TCC. They were beyond accommodating, responsive, friendly, supportive, everything. I would recommend anyone to have their wedding here – I truly couldn’t have asked for better. My husband and I just got married on 11/21/15. […] I HIGHLY recommend the TCC for any event, especially a wedding. The pictures came out amazing, everyone we worked with were amazing!! I just can’t say enough! Happiest night of my life!!! Everything was beyond perfect!! My daughter Danielle’s wedding at Tewksbury Country Club was outstanding! As parents we couldn’t be happier that this day was so special and perfect! Both the cocktail room and reception ball room are absolutely gorgeous, the food was amazing (everyone has complemented us on how perfectly cooked the filet mignon was). Melissa was fantastic to work with and made sure everything my daughter planned was above our expectations. I highly recommend TCC! The Tewksbury Country Club is absolutely fantastic. We booked the Cypress Room upstairs and the Balcony is where we had the ceremony […]. The staff, coordinated by Brian, took care of our every need before we knew we had a need, right down to the most minute detail. The food was excellent, and referring to the details, they remembered that my bride has a dairy allergy, and never even had to ask who it was that was getting the apple crisp without whipped cream. They simply took care of it. J. & I wanted to take a quick minute to tell you all how truly thankful we are for all that went into our wedding. To this day we are still completely blown away by how smoothly our night went and we owe all of that to you. The room was incredible and the decor was everything I hoped it would look like. Our guests could not stop talking about how beautiful the venue was both inside and out and how much fun they had. There are not enough words in the world to express how thankful we are! You ladies are amazing at what you do! I can not say enough about the high quality service that you will find at TCC. I worked with Heidi and she was phenomenal. She attended to my EVERY need before and after the wedding. She genuinely cared about me, my feelings, and what has been happening with wedding details. I was able to email her and call her when ever I needed and if I couldn’t get hold of her she promptly called me back. Heidi went above and beyond to make sure all of my wedding details were taken care of. She was efficient, amiable, and caring. Every wish I had she made come true; a real life fairy God Mother. I’m not exaggerating. The food was fantastic, the grand ball room was so beautiful that I saved so much on decoration costs because the hall stood for itself. My husband and I both loved TCC as soon as we saw it… the high ceilings with exposed beams, the chandeliers, amazing! Melissa was easy to work with, and their packages included vendors we wanted to work with anyway… making the process super easy. We were also able to customize some of our appetizers for our special day. But I really need to highlight how great all of the staff is. My emails were answered quickly even during their busy season. Melissa also saved my behind when the florist showed up with 3 less boutonnières than I had been expecting. She not only called the florist to rectify the situation before I even showed up, but when no solution seemed possible, she fashioned some out of flowers from other arrangements and you honestly couldn’t tell the difference. Now that’s truly above and beyond. Thank you all again so much!! Just had my wedding there Saturday 2/28/15, had 130 guests. TCC made it the best day of my life. Guests loved the food & service. My HUSBAND and I were treated like a king and queen. Heidi did an incredible job coordinating & Brian took care of our every need. We HIGHLY recommend Tewksbury Country Club. Have never been to such an amazing & beautiful wedding in my life. I have attended many it was the best ever. The staff at TCC were amazing from start to finish. From the moment we looked at the Grand Sequoia Ballroom we knew it was the perfect venue for us – rustic yet elegant and classy. The building is immaculate, the landscaping flawless, and the food is delicious. I planned my wedding long distance and though it was challenging to pull everything together TCC couldn’t have been more helpful. [The people there] were all easy to communicate with and promptly returned emails and phone calls . . . . I simply can’t say enough good things about TCC. They made my dream wedding a reality and I would recommend them to anyone!! We had our wedding at TCC in October, and couldn’t be happier with this venue. From the moment we visited we knew this was our place. Gorgeous inside and out, making pictures anywhere to die for. I just wanted to send a quick email to let you know that my event was amazing. You were so wonderful to work with. Every aspect of the planning right up to the day of the event was seamless. Everything was wonderful. I still continue to receive compliments on what a lovely shower it was, how gorgeous the venue was, and how great the food was. I will be referring your venue to anyone I can, as my experience was a great one. I can’t wait to plan my next event with you all! Thanks again!! My husband and I are SO happy we chose TCC for our wedding!! The staff is absolutely amazing and our wedding day was beyond perfect!!! Our guests had so many great things to say about the facility and how amazing the food was!!! We also had great experiences with all of the vendors we chose that work with the country club!! Thank you all so much!! Absolute perfection. The wedding coordinator (Melissa) and the wait staff were so wonderful, friendly, fun and accommodating. This venue is absolutely beautiful inside and out and made my wedding dreams come true. The food was really great really no matter what you choose. 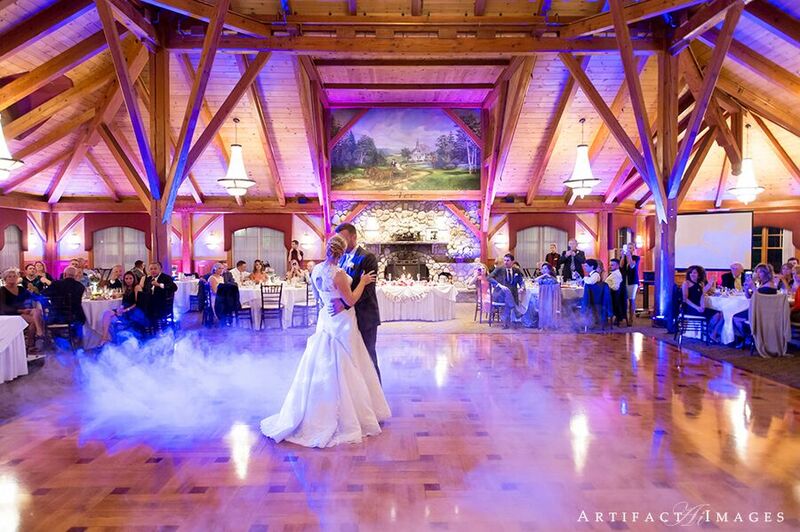 Our friends and family cannot stop raving about how much they loved this venue! Beautiful! I got married this past August and had my reception at Tewksbury Country Club. The staff was extremely helpful, friendly, nice, and accommodating to our every need . . . . I did not have to worry or think about one thing at our reception because it was so thoroughly planned and taken care of. On top of the staff being so wonderful, the country club itself is gorgeous and I don’t think there is anything else out there like it. It was a perfect day and I would highly recommend Tewksbury Country Club for any event or wedding! Tewksbury country club is a beautiful place to have a wedding from its beautiful chandeliers to the well kept grounds you will have beautiful pictures to look back on for a lifetime. Our son and his fiancé were married on Friday afternoon, and their reception was held at your facility in the evening. All of our guests commented on 3 things. 1) Your facility is absolutely beautiful. 2) The food was both delicious and hot. 3) Your entire staff was not only professional, but genuinely seemed to want to be there on Friday evening. THEY made the reception so much more than a simple party – THEY made it an event that we will all remember for the rest of our lives. To everyone who worked to make the reception a success -Thank you very, very, much! Perfect! Venue is beautiful inside and out. I specifically picked TCC because of the gorgeous grounds. It rained on my wedding day, however the pics inside came out just as beautiful. The food and waitstaff were beyond incredible. The waitress for the parents table went above and beyond and my father-in-law is still raving about how wonderful they were. Gorgeous, even in the rain! Can’t say enough about how wonderful the staff, service and atmosphere were at the TCC. The bridal showcase and tastings were wonderful to get ideas. The package – including cake and flowers – made everything so easy, and the price was certainly right with a Sunday event discount. Our guests continue to comment on how lovely the venue was and we were so please with how the space worked for the cocktail hour (with new balcony!) and dinner/dancing reception. Highly recommended!! After much research, I realized that TCC had the best package for the best price. My family and I are so pleased with how attentive and reasonable they were. The actual wedding was GORGEOUS! I can’t say enough good things about this venue. It is just beautiful. I would recommend it to anyone! Not only is this a Beautiful venue for both reception and ceremony but it also offers wonderful places to take photos. I would highly recommend Tewksbury Country Club to anyone and everyone. The Tewksbury Country Club is absolutely beautiful. There are fireplaces in every room, you really feel like you are in the Swiss Alps; it is stunning. Perfect for a winter wedding. Everyone was so professional and helpful. Our guests were constantly commenting on how amazing every aspect of the night was from how beautiful the venue was to how delicious the food was and everything in between. Our wedding was perfect. I would highly recommend the Tewksbury Country Club to anyone. It has been a few weeks since the wedding, and we are still getting rave reviews about the venue and the food. Overall our guests thought the wedding was very elegant, well thought out, and organized. I had a few guests even say “How did you find such a beautiful venue, I have never seen anything like it? !” Thanks Tewksbury Country Club for making our day so special! Now I really understand why all of those brides gave you such high ratings. Amazing Venue! The Tewksbury exceeded my expectations for my wedding this past June. Leading up to the day they were extremely accommodating. All my meetings/appointments were very organized and I felt comfortable and relaxed leading up to the big day. The staff are extremely professional and willing to work with all types of circumstances. The day of the wedding I got so many compliments on the venue itself, people were amazed by all the wooden beams, and the gorgeous greens outside (even though it was rainy). People were impressed by the food as well, all was delicious. Their packages are extremely reasonable for the venue. Any closer to Boston and you’d be paying an arm and a leg for the equivalent. All in all I loved it – they made my day perfect!!! “I have to say that my wedding day was more than I could have possibly imagined. Planning a wedding across the country was made easy with TCC Wedding Coordinators. They put everything I planned and envisioned to reality. Everyone was amazing! The food was perfect! 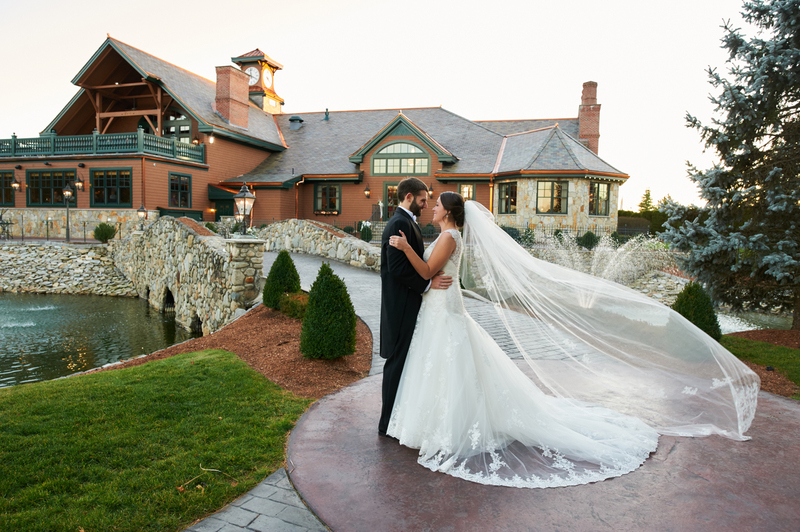 A Fairytale – The Tewksbury country club is the most beautiful, enchanting venue I ever saw.